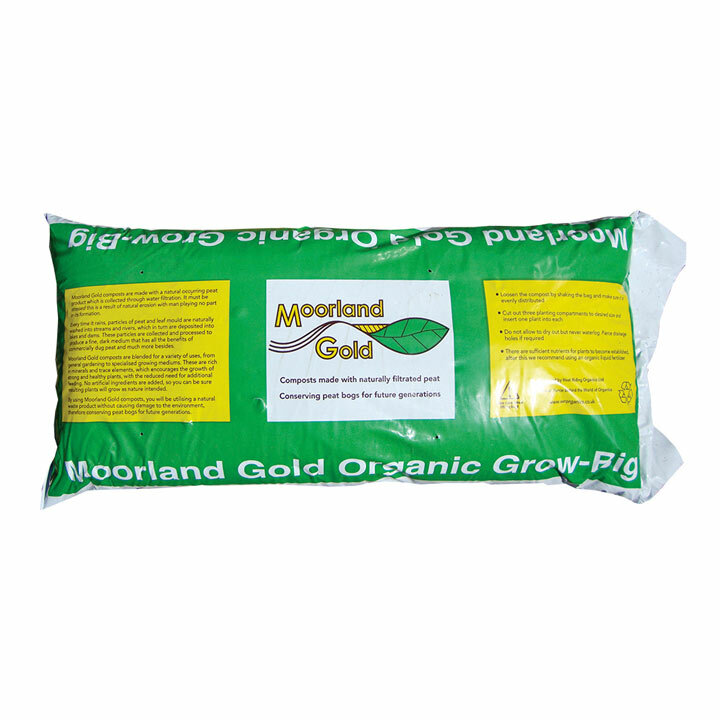 Organic grow bags made from Moorland Gold (peat particles reclaimed from reservoir dredging), seaweed meal and organic fertiliser to ensure a good, strong crop. 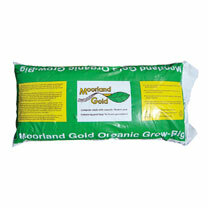 2 bags containing 30 litres of compost, they have good volume for root systems to develop and retain moisture well. We've tested them in our own gardens and have found plants require less extra feeding as the bags are so well stocked with nutrients! Width 36cm x Length 73cm.